When I was in the Northern part of Italy this summer, we were introduced to the beautiful and refreshing drink the Aperol Spritz! 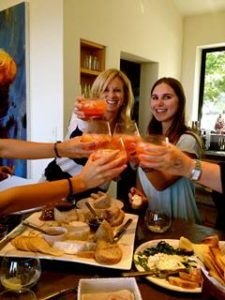 So when invited to one of my favorite places, Nicki’s in Napa, I offered to make an Italian dinner of Spaghetti and mozzarella stuffed meatballs and serve Aperol Spritz’s! 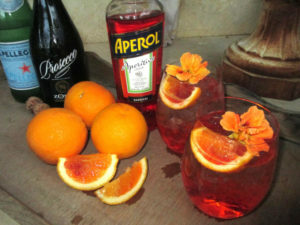 Aperol is an apertif that has an orange flavor and is similar to Campari, but not as bitter. Sophisticated and refreshing! Great for a warm summer evening! The most delicious Spaghetti Sauce and Meatballs! Put all ingredients, except salt and sugar, in a large sauce pan (4 quart). Bring to a simmer and lower heat to low and cook for 45 min. Increase heat slightly and cook for an additional 30 minutes. Let cool and blend ingredients with an immersion blender. Add sugar and salt to taste. Best if made one day in advance of serving. Reheat to a simmer and serve with meatballs. Put croutons in a bowl and pour milk over, let sit for 10 minutes. Place ground meats in large bowl and mix together, form a well in center. Place all ingredients, except crouton mixture, in to well and mix until well combined. Gently fold in crouton mixture. Form into 1½” balls and stuff a quarter size piece of mozzarella cheese inside and seal. Can be made one day in advance. Place on cookie sheet and drizzle lightly with olive oil, brush oil evenly on balls with a pastry brush. Bake for 22-25 minutes at 350 degrees, turning once halfway through. Remove meatballs and add to simmering tomato sauce. Serve over spaghetti noodles and more freshly grated Parmigiano-Reggiano Cheese. Thanks Sandy! That means a lot coming from you!! Love all of it, Pam! Lots more to come, thanks for reading Nancy! Wonderful…..informative and refreshing! Good luck! Thank you, welcome to “Pamela Says”! 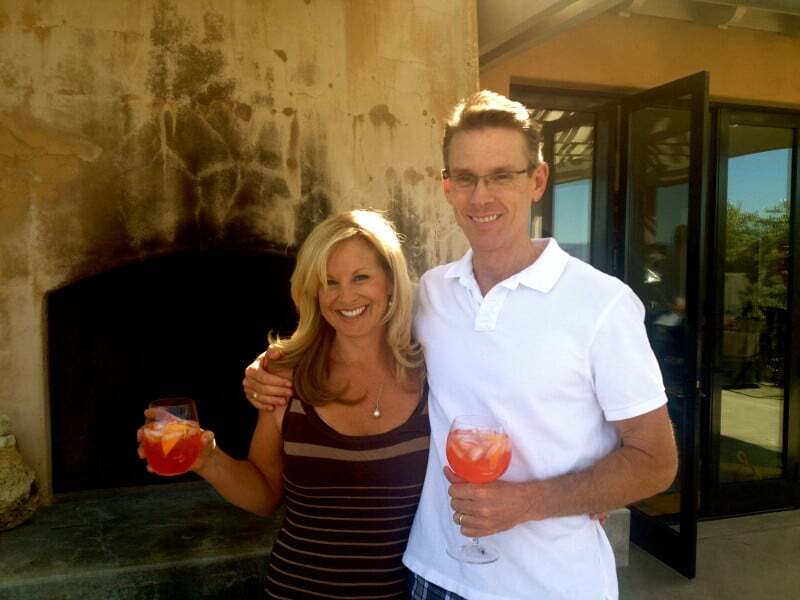 I love Aperol spritz’s! We also discovered them while in Italy (Venice) about 3 years ago. It is now my favorite drink! 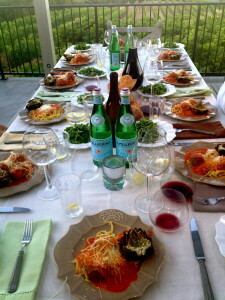 Can you make the Aperol Spritz’s for book club? Your hair looks great for being on vacation!! It’s dry in Napa, good hair there! I made them for the Gatsby book club, you were in Hawaii, we will have to wait until next year…it’s a summer drink!!! Wow, I’m amazed Pammie! 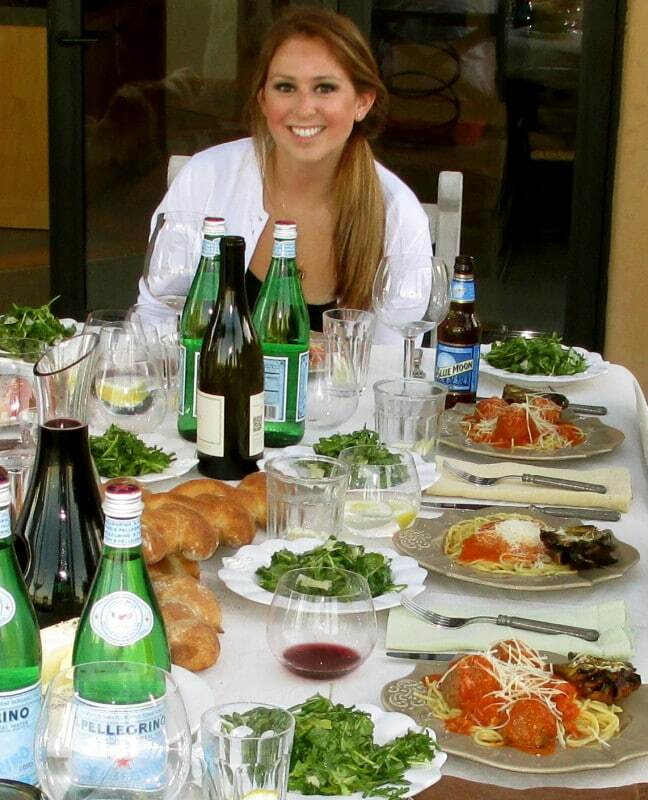 You did it…..
I’m enjoying your website… reviewing your recipes and also love your list of your favorite SF restaurants.